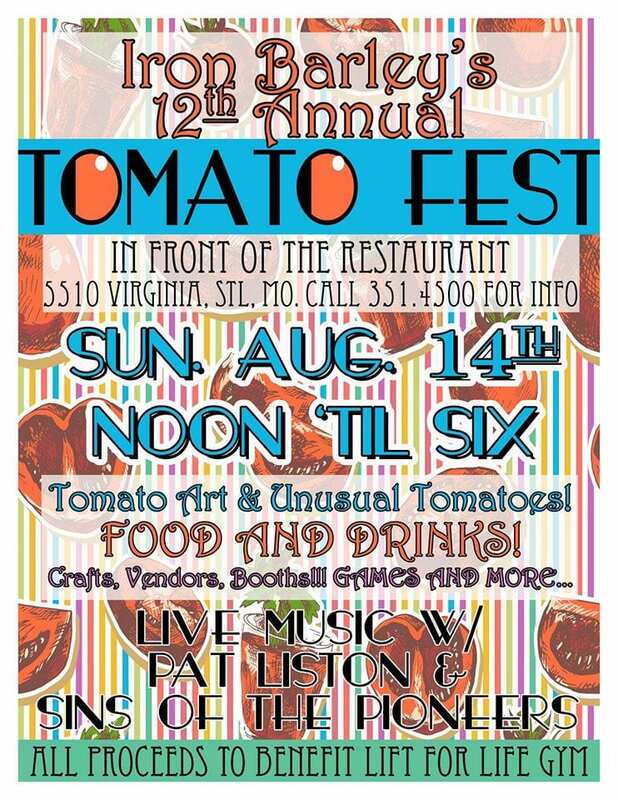 Head down to Iron Barley (5510 Virginia) on August 14th from 12:00 to 6:00 for their 12th Annual Tomato Fest! Tomato Fest is a community event that features tomato art, unusual tomatoes, food and drink. There will be live music, craft vendors, games and more. All proceeds benefit Lift for Life Gym.